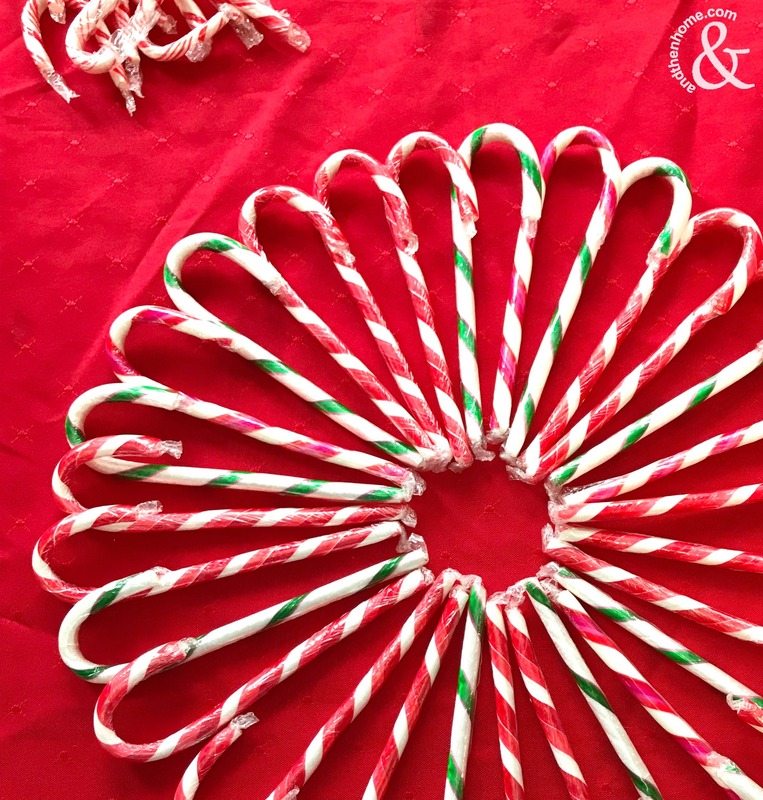 This cute DIY Christmas Candy Cane Wreath is a great holiday craft! 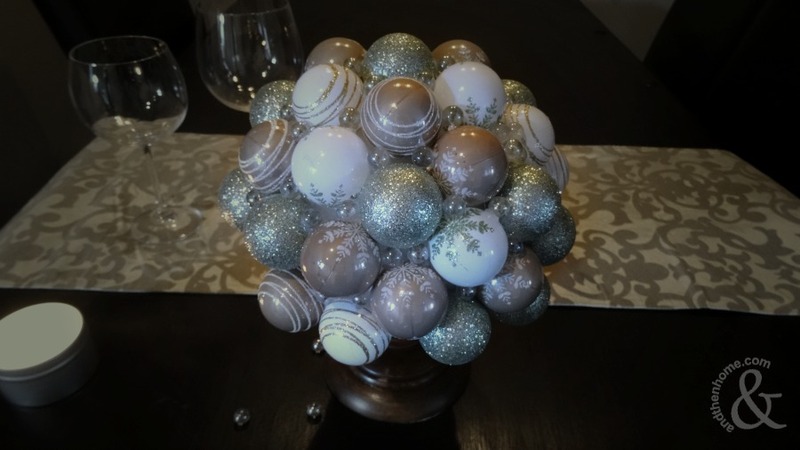 It’s fairly easy to make and the supplies won’t break the budget. 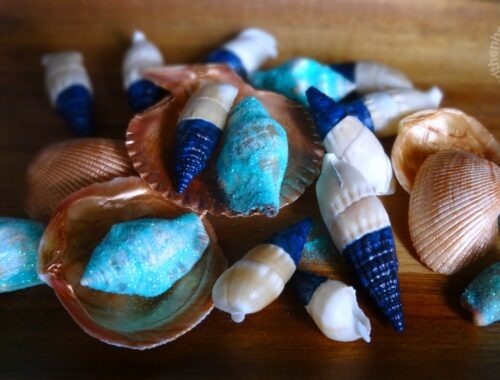 The kids can help pitch in too, which makes it a great gift for their teacher. 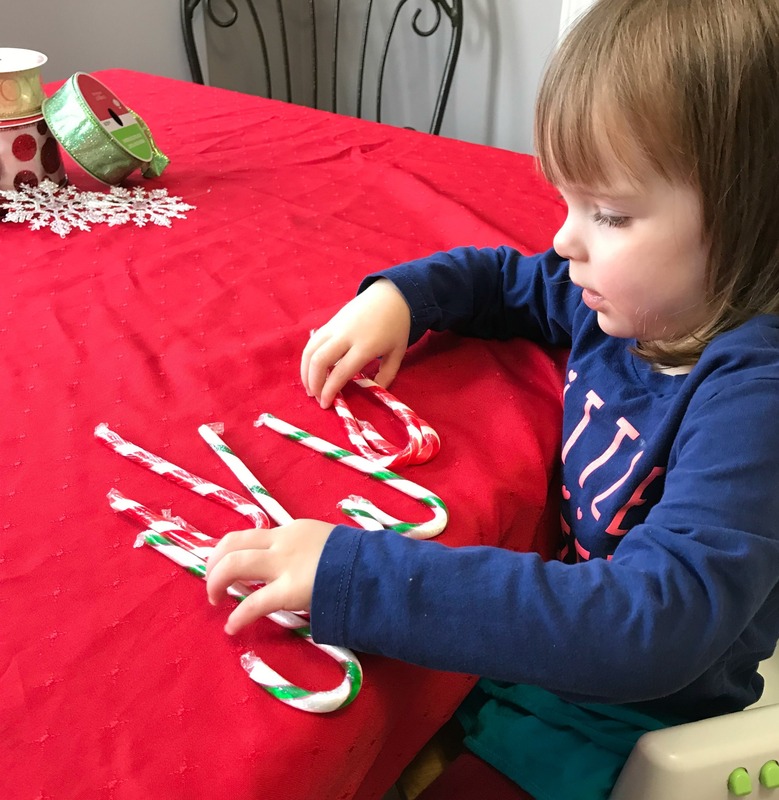 I used a hot glue gun to attach all the candy canes together, but you could use double sided adhesive strips to make it a little more kid friendly. 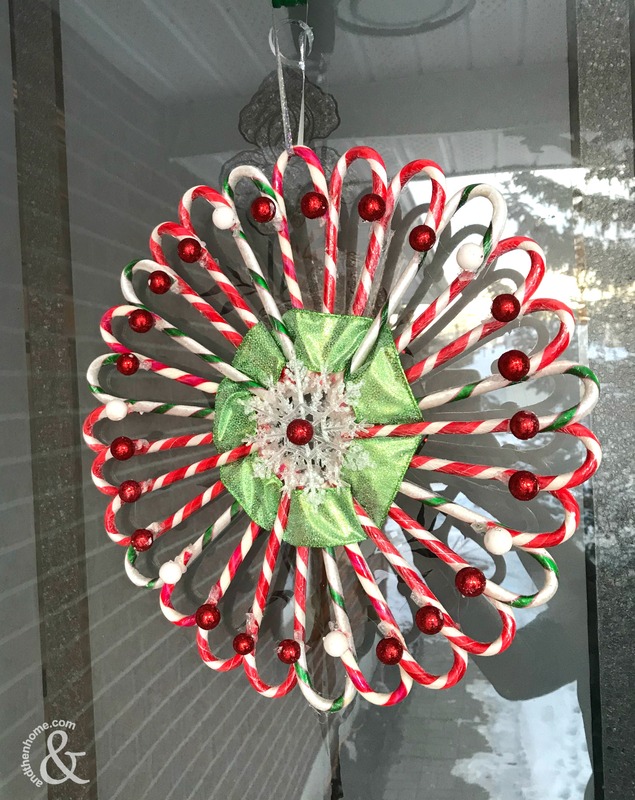 My girls are still on the young side so they were happy to help pass the materials and stick the embellishments on after I placed a ‘blob’ of glue. 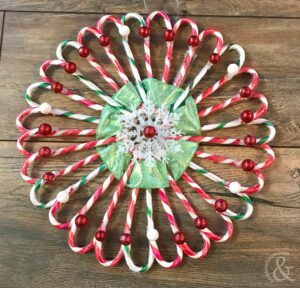 This wreath is actually fun to make and interesting to look at, which is why I love it. 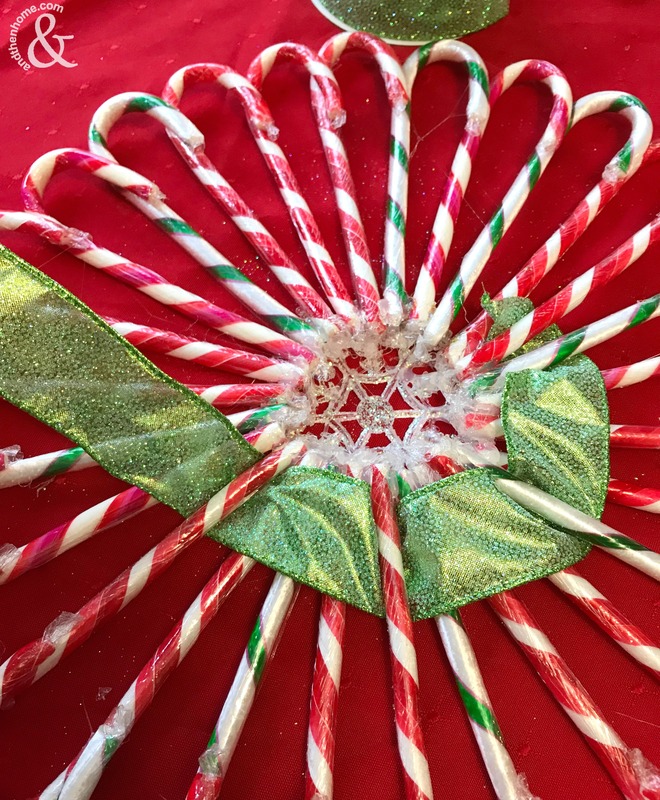 I’ve seen candy cane wreaths made where the canes are formed into hearts. While those definitely caught my eye I thought they were a little bare. So, when I started making mine, I flipped the canes to flow in the same direction and was pleased with the result. 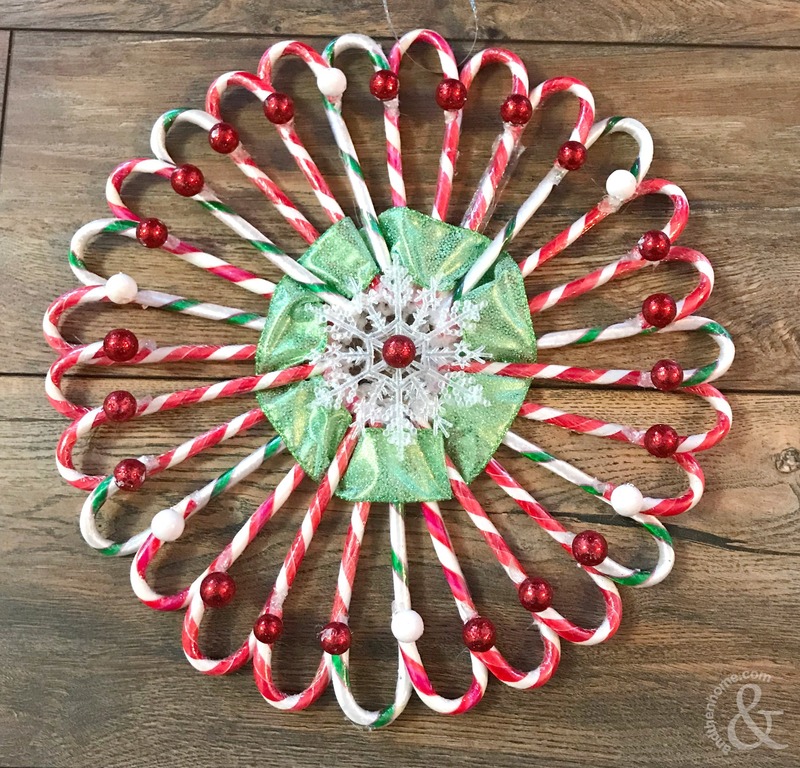 Before you begin to use glue, I recommend setting up a mock wreath to see how your design will look. 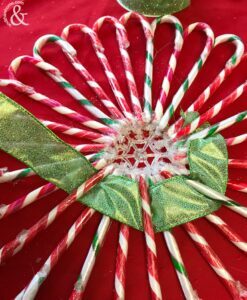 Since I used 3 different flavoured candy canes I wanted to see how the pattern would look. 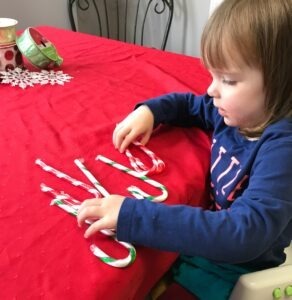 Turns out my ‘helping’ kiddos decided there wasn’t going to be a pattern ? But it was still good to see how it would unfold. 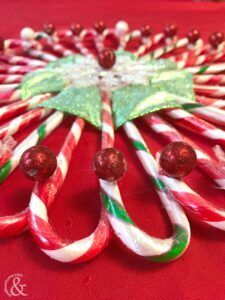 Begin by placing a small amount of glue on the top and bottom of one candy cane. 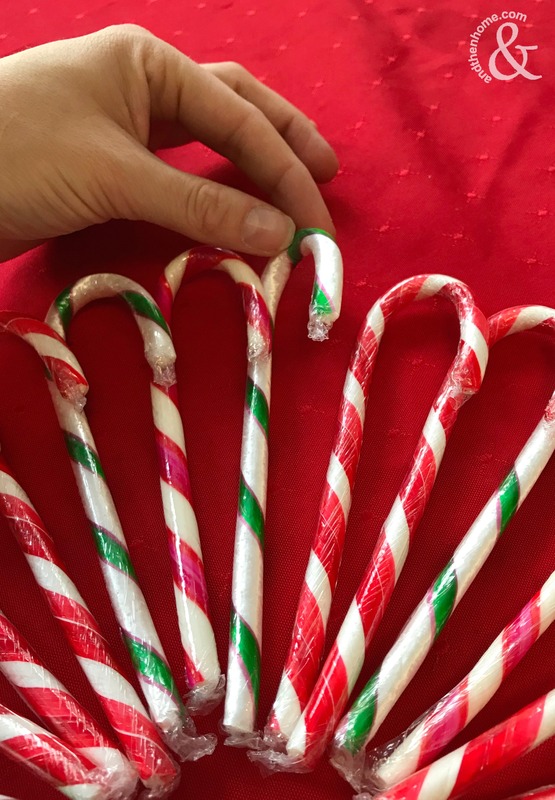 Continue this step until all of the candy canes are attached. Remember to create a circle with them as you go, this should occur naturally but you may need to help it out a little. 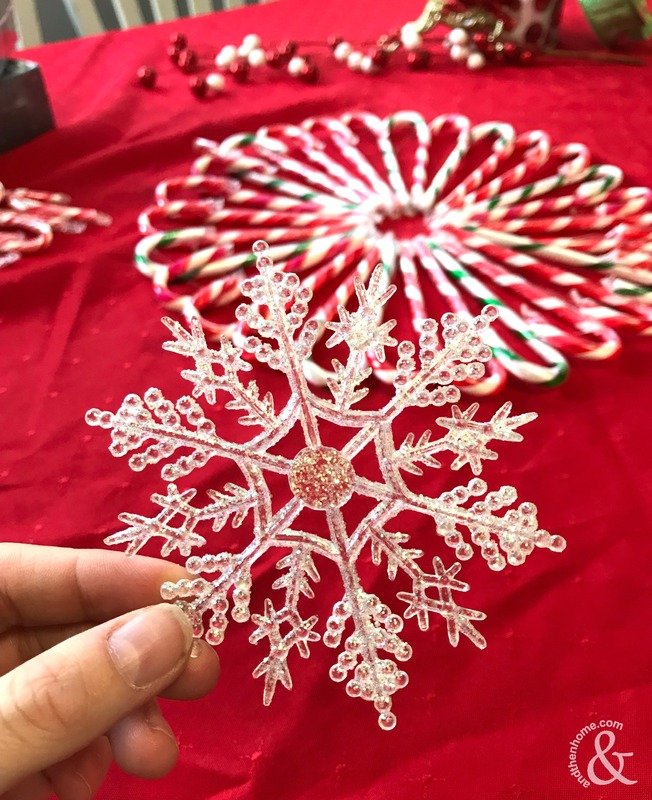 Once the circle is complete add the snowflakes using the hot glue gun. 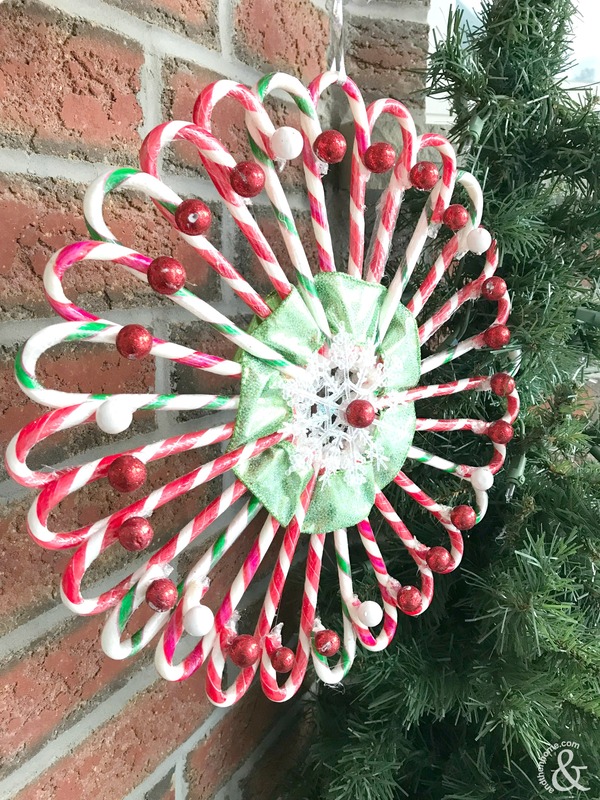 One on each side of the wreath, this will help hold it together. Now for the ribbon. I chose a sparkly green ribbon to help bring out the occasional green candy cane. Weave the ribbon with the candy canes, I did three on top and one under. This way more of the ribbon was exposed. 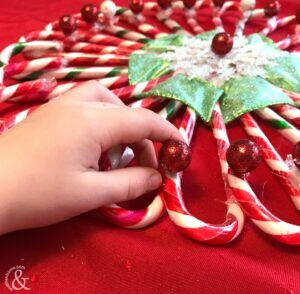 Use the hot glue gun to adhere the loose ends of the ribbon to the wreath. Finally the embellishments. This of course is optional, I always have a hard time deciding when to stop. Embelisments are my favourite! 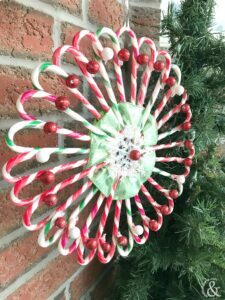 I used the hot glue gun once again to stick the balls onto the wreath. 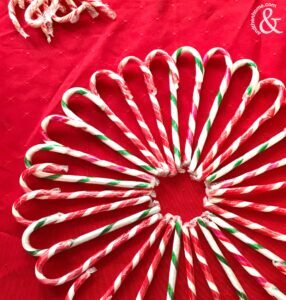 Add a small piece of ribbon to the top of the wreath and you’ve got a fun Candy Cane Wreath that you can enjoy yourself or give as a gift! I hope you liked the step by step. If you tried one out, don’t forget to share it with us on our Facebook page, or send it in an email! We’re always happy to see our projects come to life ? 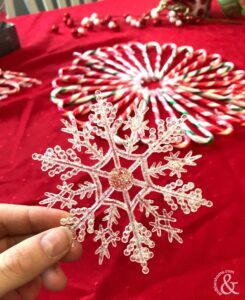 If you’re not convinced or looking for more, try our Pretty Pearl Snowflake Pillow Cover the perfect craft to do when watching your favourite Christmas movie and eating a delightful Christmas snack..like our Holiday Chocolate Dipped Pretzel Sticks ? *Disclosure: Some of the links in this post are affiliate links. There may be a small commission made by our recommendations, and/or link to products mentioned or services on this website. Any potential purchase you make will help us continue to bring you amazing content, step-by-steps and product reviews.